Ultimate Food App On Good Day Sacramento! We had our first TV appearance! Ultimate Food App creators Rene Campos and Rodney Aspiras appeared on Good Day Sacramento this morning to announce the upcoming launch of our Kickstarter.com project! 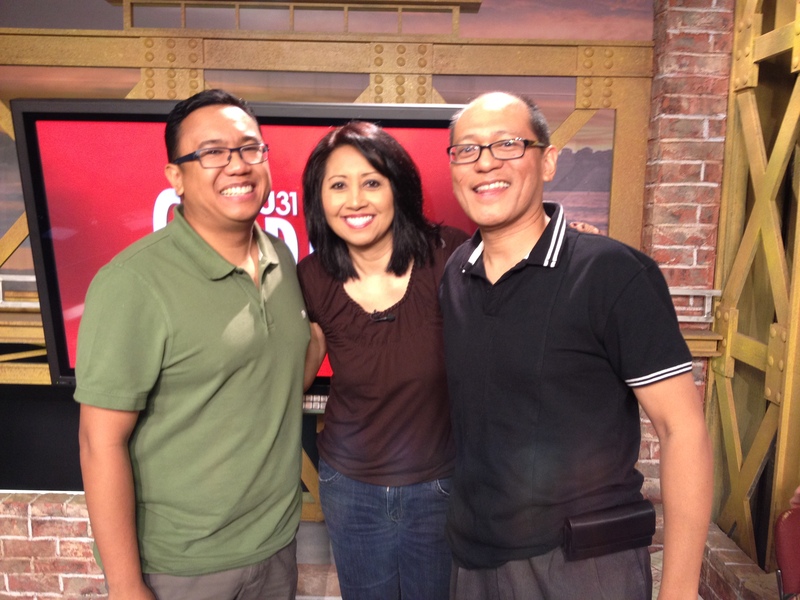 Rodney (left) and Rene (right) promise to tell Tina Macuha (center) of Good Day Sacramento when new adobo dishes post to the app! ← We Really Do Need This App!! !